So you may have noticed me on IRC during the past week. This is what I've been up to. I wanted to run homebrew with whatever hardware I had lying around so I grabbed my unused Raspberry Pi and a bare metal tutorial, and set out to make a XenoGC clone. Source and schematics attached. I hope you like it. Last edited by Streetwalker on Sat Mar 21, 2015 7:25 pm, edited 3 times in total. I'm pretty sure I can try to do other stuff with it, I just need to add more wires. Especially since I can insert stuff in the waiting loop that watches the drive for resets. I'm going to see how I can make it upload larger files, then I'll replace XenoShell with Swiss. so wait we could use a pi as a WKF? I don't think so. The Xeno is definitely able to override disc contents (that's how it detects keys on bootup, by patching the game's apploader) but the SPI interface is way too slow to do anything as interesting as a WKF. Oh by the way, I'm reading parts of YAGCD and I finally understand the IPL replacement exploit... >:D Only problem is, I need an SPI slave and the one in the Pi isn't exposed on the GPIO header (except on model B+ which I don't have). Had to double check but the beaglebone black has that feature. You probably don't have that but I do, how did you do that on the pi? What software? Wow this could really open some doors and the pi is readily available too. Duhasst0 wrote: Had to double check but the beaglebone black has that feature. You probably don't have that but I do, how did you do that on the pi? What software? I thought I'd posted a reply but it didn't go through apparently. I'm just bitbanging the GPIO pins. The source is attached to the first post. I basically reimplemented the Atmega side of the Xeno while keeping the GameCube side of things untouched. Yeah I noticed the software after I posted, I just really like what you have done here and just overlooked the software. I am going to have to alter the code a bit since it's going to need to be done for the bone. Just have to find time and need to research more, I don't have access to the Web at work so no research can be done there. 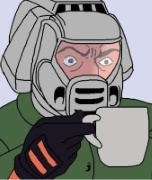 Gotta look up some stuff and work on it at work then test at home. ok, so what functions could we add using a pi on top of acting as a Xeno. I imagine anything to do with video processing is out, (too much lag) maybe we could use it a a game recorder though. I think I remember the GCs high speed port can be used to load games, maybe we could use it as a game loader through there? Alternate boot mode for the Pi which makes use of the GCs controllers? Play Shovel Knight on my GC? Hmmm if I understand yagcd correctly, hi-speed port is connected to the east bridge which is an 8 bit, 81MHz parallel bus. I don't know how far GPIO using the GPU can go but it's definitely impossible with the Pi's CPU (which can apparently toggle a pin at about 14MHz). would using a beaglebone or something instead work? It should, runs Linux, had more gpios and has i2c, spi, and pwm. EDIT: also, the rpi-gpoi.h file would need a rewrite, that I have noticed, other than that I haven't really gone through the source enough to really see if there is anything thing else that needs reworked. Hmmm I didn't write that header. What's the problem with it ? Also my code runs on bare metal, since the Pi is powered by the GC it has to boot fast. It also gives me more accurate/constant timing and more CPU time if I wanna extend functionality. Well if used for the beaglebone black it doesn't set the right gpio values. I could be wrong but that is just my opinion. I haven't had much time at all to mess with anything. I will be watching tho cause this is interesting, I may go and get s pi anyway since that's all the microcenter near here stocks stuff for. Well that and arduino. Oh right, the GPIO stuff is hardware specific of course. I didn't understand that you were talking about porting my code. Feel free to do that, just note that the CN302 connector uses 3.3V logic and I have no idea if it's 5V tolerant. This can be a bit crazy, but with a Raspberry Pi, can someone replicate the functionality of a BBA??? Hmmm I don't think so. Hooking up to the EXI bus requires an SPI slave which is unfortunately not exposed on my revision of the Pi. The hardware is in the SoC and the pins are exposed on model B+ so you can give it a shot. excuse my noobness, but can someone send me a pre-compiled version? Hmmm sure thing. Do you have the hardware ready ? Just prepare a regular raspbian sd card then replace the kernel.img with the one attached (unzip first). I think I stated it in the readme. Grab the kernel from the post above and replace the Linux one with mine on your SD card. 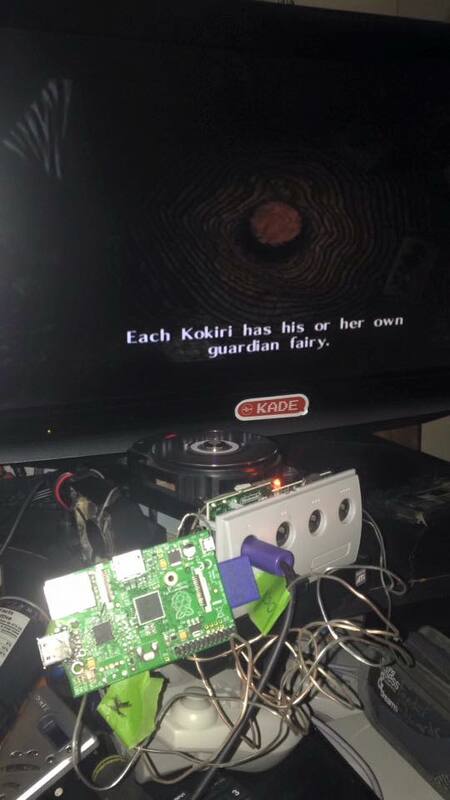 I know this is kind of a Necropost, but Yes I got my Gamecube working with this method! I'll be using this in the meantime while I wait for an AVR programmer in the mail. Streetwalker wrote: Hmmm sure thing. Do you have the hardware ready ? I just picked up a gamecube from a garage sale and just so happen to have a few Raspberry Pis laying around in my junk drawer. Thinking of giving this a try, did you ever figure out how to replace XenoShell with Swiss? Thanks! It's possible to do it but I've never bothered, I've been using a DVD to boot swiss. I have a qoob pro now so I desoldered the pi from my dvd drive. I'd recommend you make the atmega version of the xeno which is a lot less annoying since it can fit inside the drive. This was just an experiment and a temporary solution (which I ended up using for two years), since I couldn't order/didn't want to wait for parts back then.